Horses are very large animals who move on very small feet. As a result, their leg joints are prone to many disorders. Their fetlocks can swell due to minor injuries, swelling ligaments and a condition known as “stocking up.” Many conditions can lead to fetlock swelling, but some are more common than others. Stocking up is an unsightly but harmless swelling caused by inactivity and improper feeding practices, both of which can lead to poor circulation. This condition is common in older horses; however, any horse experiencing long periods of inactivity can be prone to it. Stocking up affects the fetlocks; however, the swelling can start as low as the coronary band, which is where the hoof capsule begins at base of the leg, all the way up to the knee or hock joints. This condition is easily treated by hosing the horse’s legs with cold water, wrapping them with poultices and pressure bandages, or giving it light exercise. 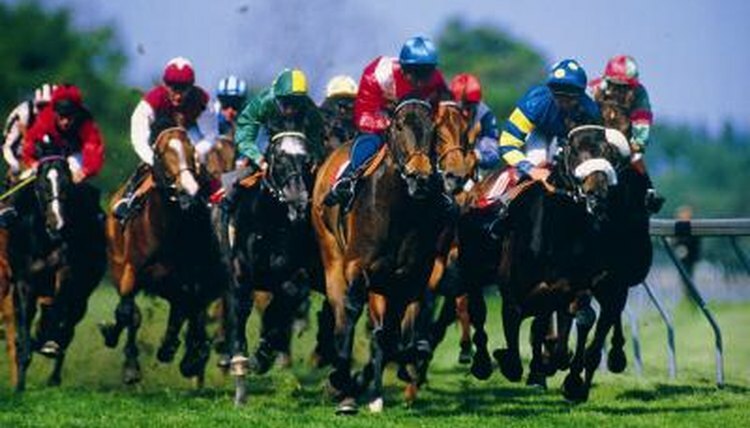 The soft swellings known as windgalls or windpuffs are caused by chronic concussive stress, such as that caused by racing. Unlike conditions that affect the bones themselves, windgalls are caused by synovial fluid (the fluid that lubricates joints) filling the area that surrounds the fetlock joints. Two different kinds of windgalls exist: articular and tendinous. Articular windgalls affect the fetlock joint capsule. They can be found on all four fetlocks and are typically painless and do not cause lameness. Tendinous windgalls affect the tendon itself. They are also painless; however, they are found only on the rear fetlocks. The fetlock is made up of a number of small bones, called sesamoid bones. This bone grouping is held together by ligaments. Chronic concussive stress, such as that which creates windgalls, can cause the ligaments to swell or even tear at the attachment. Osselets are calluses on the pastern due to the movement of the fetlock during heavy activity and chronic physical stress. Unlike sesamoiditis and windgalls, osselets affect only the front fetlocks due to the way the pastern moves as the front feet strike the ground. Horses can experience fetlock swelling at both the beginning and end of their lives. Phystitis is a swelling of a foal or weanling’s growth plates during a rapid growth period. It can occur when the young horse is overweight or fed rich alfalfa hay as the only form of roughage. This swelling can occur at the hock, knee or fetlock. Although sometimes painful, it should not affect the horse’s future soundness. Arthritis can be caused by the wear and tear associated with aging, especially in horses with poorly conformed legs. This condition is generally not reversible, but it can be managed with medication and rest. Horses, like human beings, can experience missteps and falls, as well as insect bites and snakebites. Accidental injuries can occur to any horse at any time, in the pasture, in a stall or while riding or working. Because it may be difficult to tell whether swelling is caused by pulled tendon, a displaced bone or a fracture, such injuries must be examined by a veterinarian as soon as possible. What Are the Causes of a Wry Tail?